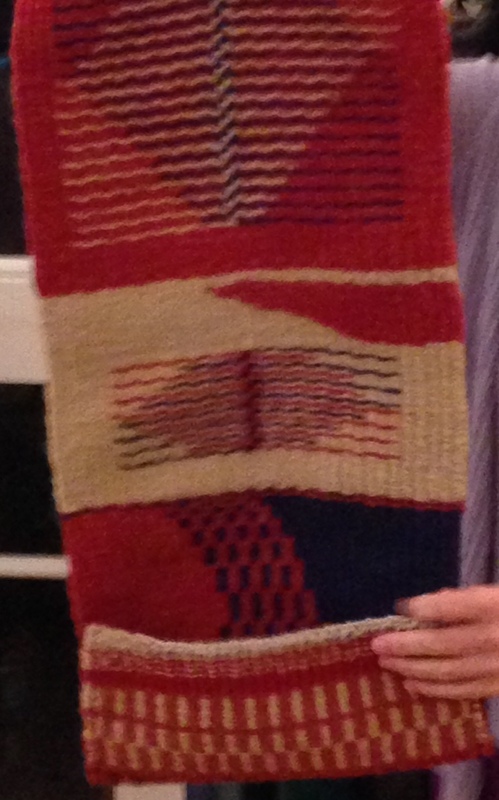 This rug sampler by Kathleen was begun in the Beginning Rug Weaving class with Jason Collingwood in August 2014. 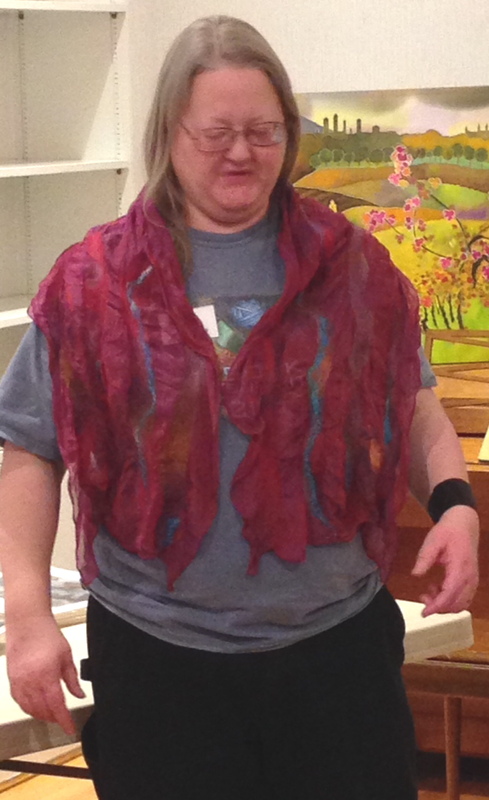 Kathleen is showing how she turned up one end and sewed along the edges to create a pocket in this wall hanging application. 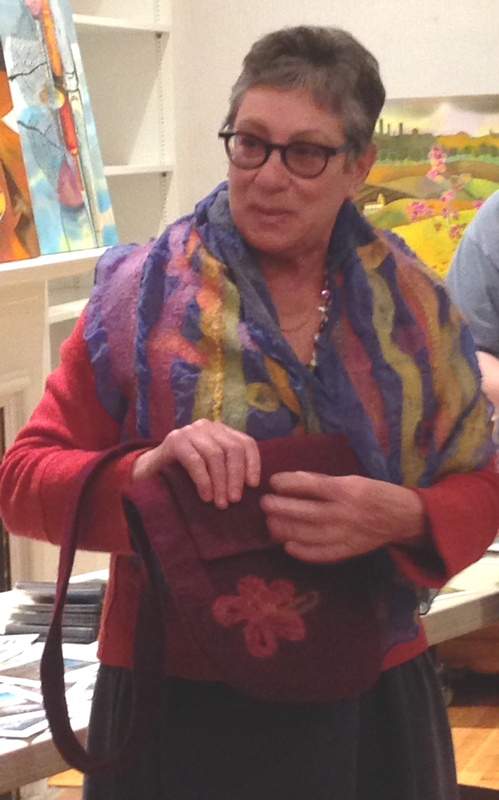 Kathy L. and Ruth display their adventures in Nuno Felting, from the class led by Carin Engen in March.